My family took me to this yesterday, and while it lacks the fresh inventive feel of the original, quintessential summer flick, it is still a treat. 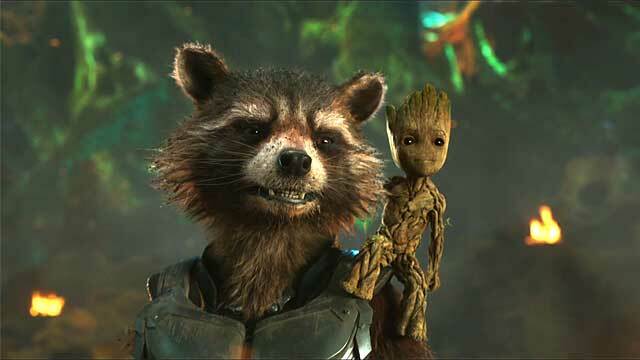 The sense of humor is intact, the characters remain winning, Dave Bautista’s hilariously literal Drax again steals the picture, and Groot is now Baby Groot, so darling that the most vicious murderers in the galaxy cannot do him in because, as their leader freely admits, “it is too adorable to kill.” The story is a bit ragged – Peter Quill’s father (Kurt Russell) is introduced and his plan is both overly apocalyptic and not necessarily reliant on the involvement of the Guardians. The sentiment is also a bit heavy; a lot of pain is expressed within the theme of family interrupted, creating one too many lumps in the throat for a damn Marvel movie. Still, a lot of fun.